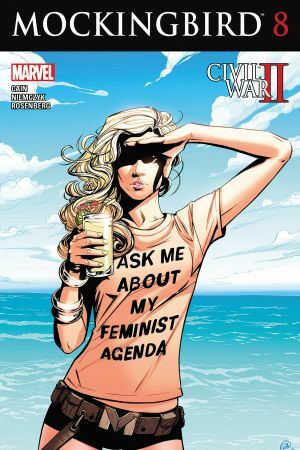 Mockingbird writer Chelsea Cain threw Marvel Comics under the bus following the publisher’s decision to cancel her upcoming Vision series. Cain reported she had been working on the series for two years and had completed four of an expected six issues. In a rather candid interview with The Daily Beast, Cain didn’t hold back with her criticism of Marvel Comics. “I have so many friends who work in comics who this kind of stuff happens to in one form or another, not uncommonly, and nobody can speak up. What do you make of Cain’s comments? Do you think Marvel Comics is having their freelancers lie on a regular basis? Also if their freelancers are told what messages to share, do you think Marvel is actively telling their freelancers like Bill Sienkiewicz to insult fans?